Introducing the brand new Honda CRF125F. 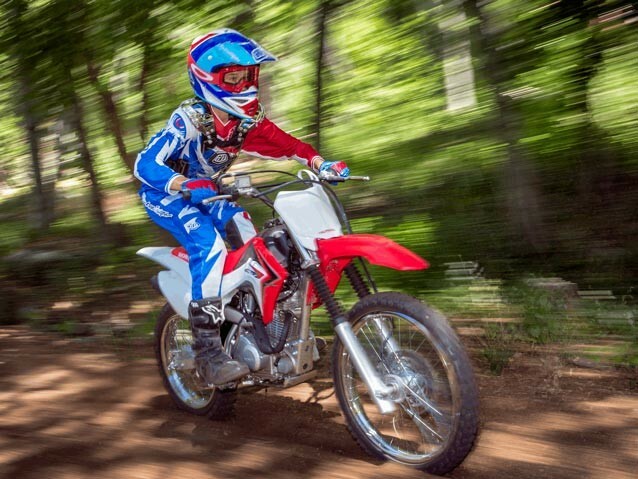 Honda’s CRF125 is the perfect choice for those wanting a trail bike with smooth novice friendly power in a reliable package. The CRF125F is loaded with features, is simple, rugged and easy to maintain. 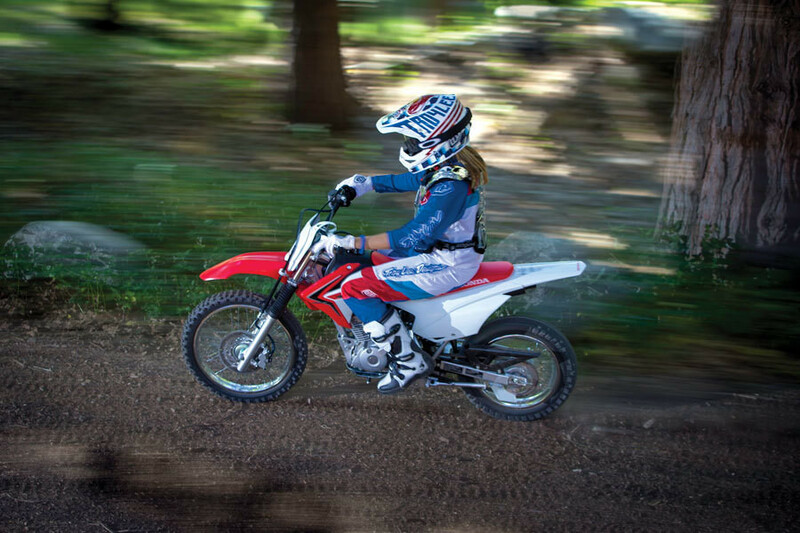 Slim ergonomics make the CRF125 easy to control for younger riders making this the perfect family fun bike. 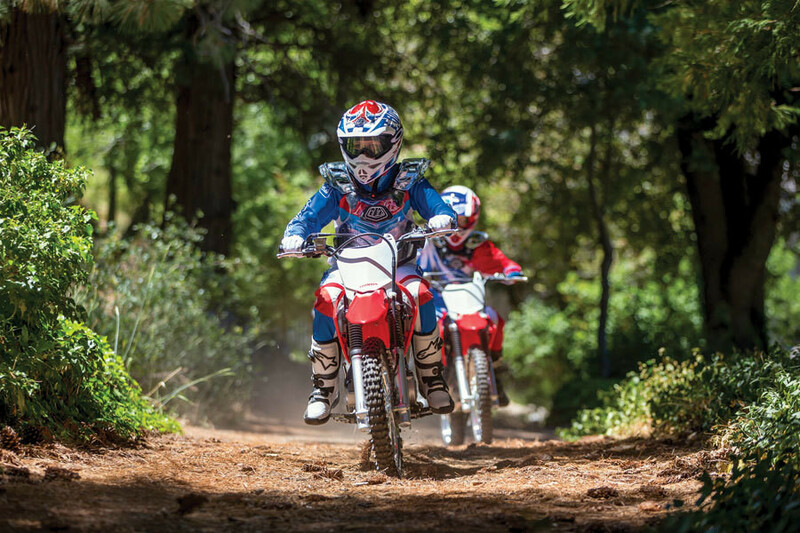 Electric start makes it easy for you to get underway and the CRF offers styling cues that match our CRF450R and CRF250R motocross bikes. The four-speed manual transmission gives you all the control of a full-sized bike. Get out and enjoy! Also available in a big wheel version.